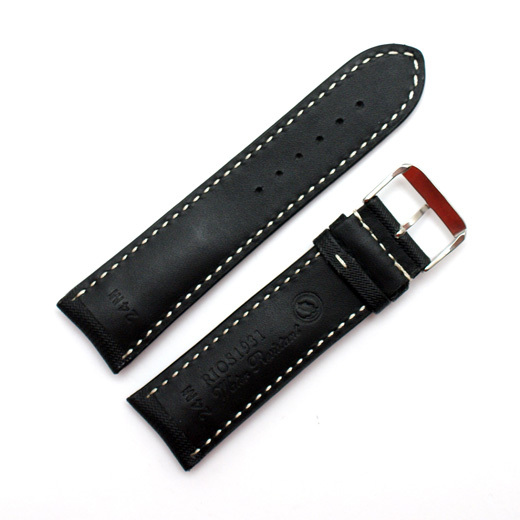 Rios Bass Black Watch Strap - Thick Padded - Water Resistant - 18mm, 20mm, 22mm or 24mm. 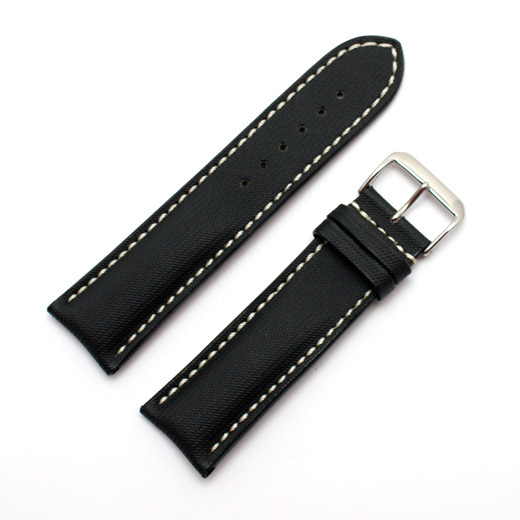 Finest Quality, hand made in Germany using a 172 step production process and with a keen attention to detail, this black watch strap is made of Nytech material that is durable and water resistant. 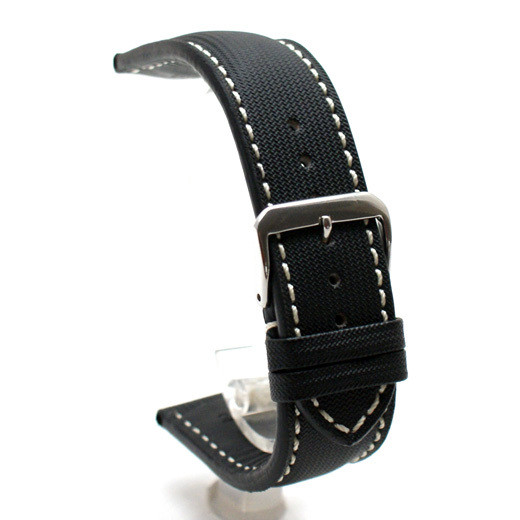 It has a kevlar style finish with off white stitching, extra thick padding, a heavy duty look but comfortable feel.